Let’s take a couple of minutes to discuss the thing we have all been talking about this week, New Year’s Resolutions. There is something about “January 1” that motivates us to start something new and do things better than before. Undoubtedly it is the clean slate of another year that provides an opportunity to start over. The website Inc. asked 2,000 people at the beginning of 2017 about their New Years resolutions and came up with their Top 10 List: Diet or eat healthier, Exercise more, Lose weight, Save more and spend less, Learn a new skill or hobby, Quit smoking, Read more, Find another job, Drink less alcohol, Spend more time with family and friends. What was interesting in this study is that, Of the 60% of us that make New Year’s resolutions, less than 1 out of 10 people will follow through. Wow! The study goes on to reveal, Women tend to make resolutions about health, while men make resolutions about career and drinking less. Every enhancement in our life must also be pushing us forward to a longer-term goal. Perhaps one of the reasons only 8% of us fulfill our New Year’s resolutions is we have developed a habit of starting each year with an awareness that we will start again next year. Long-term thinking moves us beyond seeing life as a 12 month track to be circled over and over again, to seeing it as a life-long marathon. #2 BE REALISTIC AND INTENTIONAL. Although it feels good to challenge “the socks off” ourselves pushing the bar too high can lead to discouragement, failure and giving up altogether. 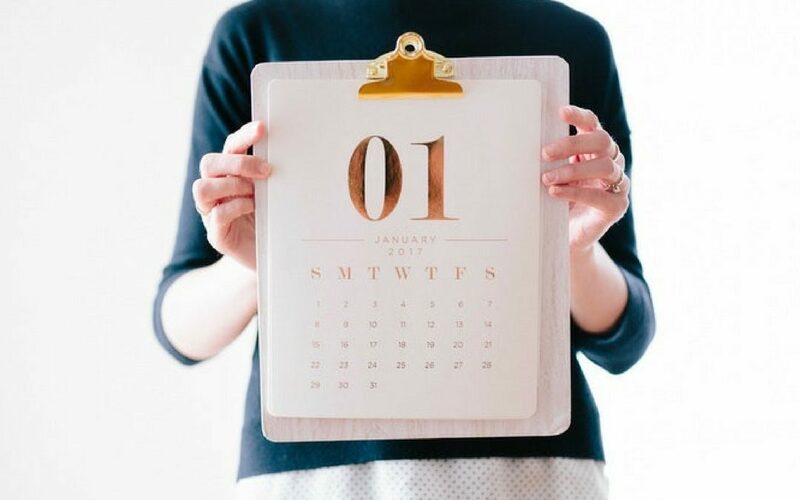 According to BusinessInsider.Com 80% of resolutions fail by February. If you attempt too drastic, too quick of alterations in your life you are setting yourself up for failure. Make commitments that demand discipline and altering your lifestyle and then have a plan to follow through. #3 BE OTHERS-FOCUSED NOT SELF-CENTERED. Why is it that I want to make/save more money? Why do I want to be in great physical shape? Why do I want a new career or to quit a bad habit? These are all noble goals but if the motive behind them is for rooted in a carnal ambition we will not be better off if we are successful. Self-centeredness is always destructive! Determine to make and save more money to be generous, not greedy, get into shape for long-term health benefits and to bless your family longer not to be vain or pursue a sinful relationship. When it comes to life’s goals, motives matter! Don’t just aim to make your life better, pursue that which makes the world a better place! #4 REMEMBER THE ONE WHO CAN HELP YOU. So much of self-help is rooted in the presumption that “I possess the power”. Certainly God expects us to use our will and decision making everyday but ultimately achieving the purposes of our life demands a dependence upon the one who alone has all power to do in us what needs to be done. Don’t enter into 2018 or make a resolution without consulting your creator and without relying on his grace. Ultimately “My help comes from the LORD, the Maker of heaven and earth.” PS 121:2 And if he made all of that he can help you do his will more perfectly in 2018! If all of us made this our resolution, and if that were to happen what a world this would be! God alone can do the miraculous in your life! Seek him, worship him, commit to him, obey him and 2018 will be better than ever! May God’s blessing be upon you in the New Year.